"The many activities, the way the community was laid out, the food, everything. That’s why we liked it. My mother would have been in her apartment by herself where here, she has a community…I know some older people don’t want to give up their independence, but really you do have your independence here because you can have a car. So I would say for sure, talk to the people who have been here and come for at least the 60 days, especially if your parents are by themselves." At Middlewoods of Newington, activities and outings take place every day. We offer meaningful programs such as exercise classes, music and live entertainment, gardening and nature programs, games such as Bridge and Pokeno, trips to restaurants, movies, museums and casinos, and cooking classes (just to name a few!!). And let's not forget about our Wii bowling team... Equipped with personalized team jackets, this group has a blast competing against other seniors all across the state! If there's an activity or hobby you enjoy that isn't on our list already, let us know, and our Activities Director will do her best to make it happen! Check out our Facebook to see what the residents have been up to. Looking for a more relaxed environment? Don't worry! We offer that too. Residents are encouraged to be as involved or as private as they would like to be. So, what does "Relationship-Centered Care" mean? 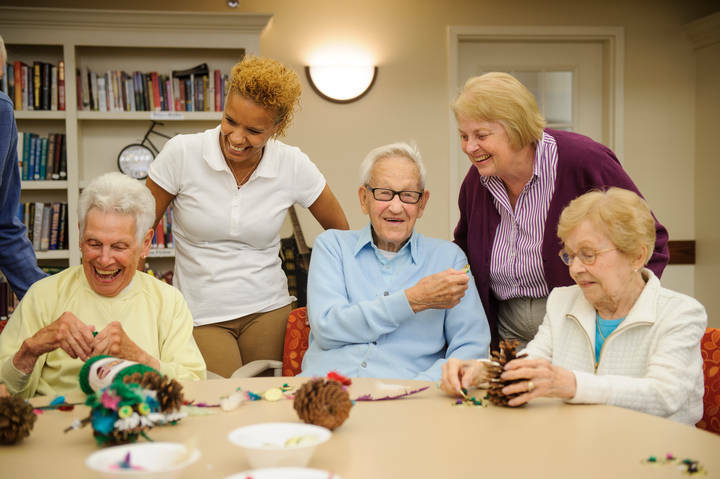 Unlike many other assisted living communities in the Newington area, Middlewoods of Newington is a nonprofit senior living community that is owned and operated by United Methodist Homes (UMH). This unique organization has a 125-year tradition of caring and throughout its history, has provided care focused on body, mind, and spirit. Our goal is to help residents maintain a healthy lifestyle while working with their family and our nursing staff to meet their changing needs. Through our affiliation with the UConn Health Center, we are proud to provide the highest level of care and service. CNAs are on-site 24-hours a day and individualized care plans are designed for each resident. 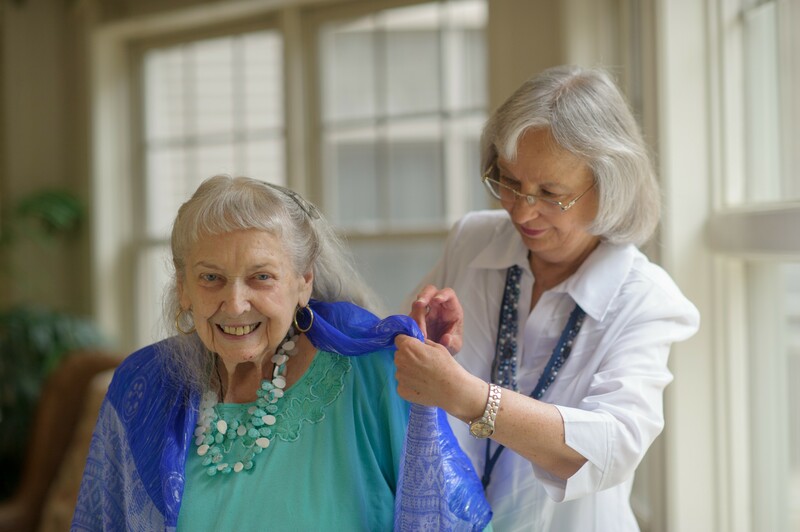 Depending on your care needs, we help with personal hygiene & dressing, medication management, and escorts to meals and activities. 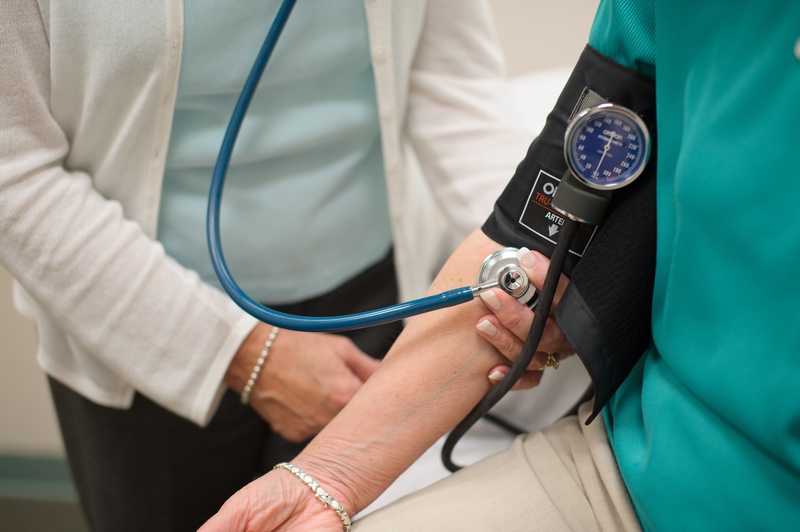 We offer assistance with medical appointments, physician follow-ups, pharmacy services, blood pressure and weight monitoring and spiritual support.